Chris Norman – the legendary vocalist of the Smokie, one of the most original and well-known British musicians of the 70’s and 80’s, is going to visit Poland in April 2019! 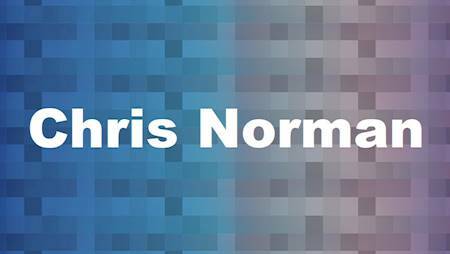 Chris Norman tickets for concerts on sale now! As a part of the European tour, the artist will play two concerts: in Spodek in Katowice and in Ergo Arena in Gdańsk-Sopot. During concerts you will be able to hear not only big hits like „Midnight Lady”, „Baby I Miss You”, „Living Next Door To Alice”, but also songs from the latest records of the artist. Chris Norman, well known from the Smokie, together with his band, repeatedly occupied the first places of the European music charts. He began his solo career in 1987. From that time, he released a dozen or so albums. His last performance in Poland took place in 2014. Concerts in Poland are scheduled for 26 April and 28 April. So far, as a part of the tour, the artist and his band played concerts for several hundred thousand fans in Russia, Germany, Great Britain, Lithuania and in the Scandinavian countries.